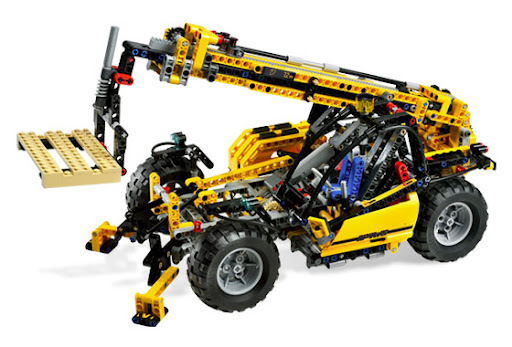 A few days after getting available for the US market, today the new TECHNIC sets for 2nd half 2008, became also available for every other country where S@H is present (no pre-order release in these). See below the prices for every country and how they compare. Interesting to see that despite the price differences visible, there are other factors behind currencies exchange rate (e.g. market factors). The price variation among the different sets, is also not linear. See for instance how comparatively "cheap" is the 8297 in Denmark (despite being among the countries where LEGO is more expensive in absolute value) and the 8293 in US market. On the other way, how expensive an 8297 could be in countries like Ireland and Luxembourg, while other sets in these countries have comparable prices to remaining countries. Please note that these prices were manually gathered from S@H website, so data displayed is susceptible of human error.